Finland is the home of a lot of things. (via Wikipedia) The country tops continuously the international comparisons of national performance. Finland ranks the best country in the world in the 2010 Newsweek survey based on health, economic dynamism, education, political environment and quality of life. Finland has also been ranked the second most stable country in the world and the first in the 2009 Legatum Prosperity rating. In 2010, the World Economic Forum deemed Finland the 7th most competitive country in the world. They're also going to be known for the next New Band To Burn One To. 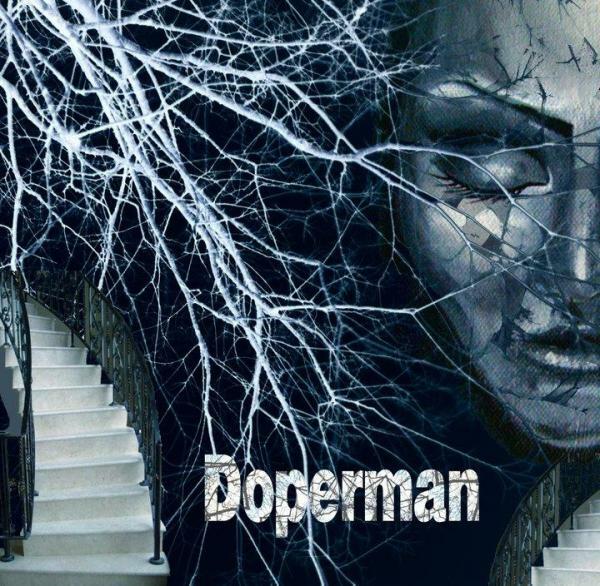 Doperman. These guys describe themselves as a mix between metal and stoner with some progressive. It's pretty damn accurate. They list their influences as Clutch, Down and The Marshall Tucker Band among others. The Band is called Doperman and comes from FInland. Formed in 2008 but the band really 'activated' after paths crossed with Thomas Vee who was available since he had gotten fired from Iconofear and Roddick Bleu.The songs started quickly to assemble on their places. Thomas Vee on guitar & vocals. The music is somewhere between metal and stoner rock, perhaps a little progressive influences too. Music is done together and thomas mainly writes the lyrics and arranges the vocals. All the guys are between 28-34 so everyone has played in many bands during the years, and Thomas Vee has also recorded some quest vocals with the band Sear. Couple gigs are behind and more will come during the winter. There is also a plan to record a full-length album to be released 2011. The band has a handful of tracks for sampling on their Myspace page. If you like what you hear, you can order their EP. Details on ordering can be found on their Myspace page.